Fast Facts for the Long-Term Care Nurse: What Nursing Home and Assisted Living Nurses Need to Know in a Nutshell embodies a holistic approach to nursing that recognizes the importance of quality of life in addition to quality of care. 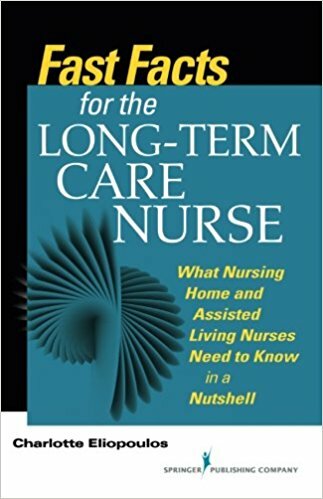 • Guides nurses in using evidence-based knowledge in long-term care settings. - The textbook was very reader friendly ... a great course for someone entering the nursing home work force. - It covers a lot of information that is relative to today’s long-term care RN. This book would be a great resource for case managers. - Textbook is excellent! It’s well written and can be used in all disciplines of SNF nursing. - The class is a good, quick overview of long term care. It is good background knowledge for long-term care. - Good overview of course topic.